THIS IS IT! The confrontations you've been waiting for! 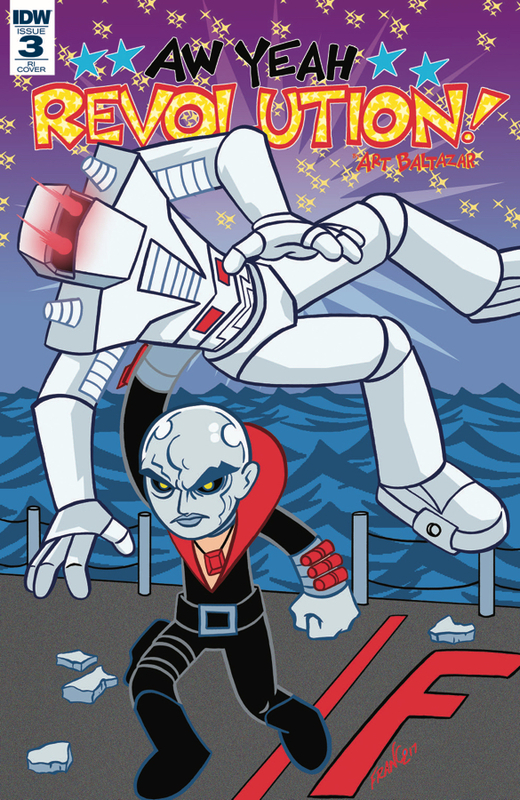 DESTRO vs ROM! Micronauts vs COBRA! The team-ups you've only imagined while playing with your action figures! ACROYEAR and BUMBLEBEE! SPACE GLIDER and SCARLET! Action? Excitement? Yes. This one has it all! Oh, and the evil BARON KARZA, too. By the EISNER AWARD Winning Cartoonist, ART BALTAZAR! Aw Yeah!